from the response I have been getting via sms and email. thursday the 29th. The response has been overwhelming. I am amazed by the power of Top Billing. I am humbled, thank you a million times. Mont Rochelle was definitely the cherry on top ... the food, the wine, the staff, the magnificent views ... all things about it! Thank You so very much to Top Billing!!! To the entire team from Top Billing! I just wanted to send a note to say THANK YOU SO MUCH for the wonderful insert shown last night on Burn The Floor - awesomely put together! I can't wait for the cast to see it! We're already getting a great response, thanks once again for the amazing work you do in supporting entertainment in our country! I am not certain as to where to send this email, however please pass it on to the relevant parties. About the Madiba Episode last night, what an awesome episode. I am really moved and inspired after watching the episode last night. Clutched to my seat, dead still for the entire episode. Well done to ALL whom where concerned in putting this episode together. Hi I would just like to complement your on the stunning, stunning show that you’ll did for Madiba birthday . I could not stop crying and very glad for it . You’ll have been the best ever program produce guys keep up the good work . Ps: maybe you’ll should do a show on show from the beginning till now . 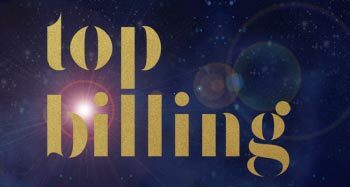 Hi..Wow what a Wonderful Show you have blessed us with yesterday.I would like to Thank the Topbilling Family for the Great work,You are changing our lives for the Better. I am your Fan all Shows have been Beautiful. I have Huge Respect and Great Love for You Keep doing the Excellent work.. I feel I must compliment your production company on your lifestyle shows and I mean all of them, which I believe I’m an ardent viewer of especially Top Billing and with each episode I’m stupefied by the level of quality research that your team does as is evident in your shows week after week. Two shows that baffled me most were aired on the 3rd and 10th of May 2011, where you featured SA artists Sam Mhlengethwa and family (Wow!wow!wow!) and Jack Parrow(whom I now understand to be “freedom of expression in motion”) both artists of dynamic character and proudly South African. The SA homes that you featured on both shows just inspired me to think outside my box (2 roomed home). As for the international escapes, they are so inspirational that I just keep extending my destinations to visit list every week. In essence I say maintain the great quality shows, that’s the production team and the presenters. My favourite program moved to Tuesday - YES! thank you. We are also looking forward to Dr Mol on Sunday and LOVE Expresso. Well done to you all. TV 3 is at last coming to life. Kindly forward this email to all concerned. Your crew is efficient, the staff at Mount Grace professional and our overall stay awesome! I just wanted to drop you a line to thank you for a great insert on Top Billing last night! It’s been a pleasure working with you and we look forward to working with you on any other projects Splash PR is involved in next year! Wishing you and your families a fantastic festive season!! A huge thanks for the segment last night. I am honored to have been on Top Billing again. Due to Top Billing’s kindness and al your trouble with the travel arrangements I am safe back home after a wonderful visit to CT and a very friendly Francois and his staff. I was spoiled rotten by them. Top Billing is the one programme that I never miss. It is fantastic to have all the Glitz and Glamour for one hour a week in my living room. Please keep the good work going. Just a work of thanks, my wife and I spent a super weekend at the Royal Marang…..
Kevin and his Team went out of their way to make us feel “royal” and have a great time. I just felt I should send to you & your team a big thank you. To merely have my 30seconds of trying being acknowledged was truly great & humbling to watch. Love & light to you all! I know it’s taken me a while to write this but only due to the nature of this time of year. I wanted to say thank you for doing our house justice on Top Billing, the show was truly fantastic and we cannot believe the response, even from people we haven’t or heard seen of in years. Obviously EVERYBODY watches Top Billing….. Please would you also convey our appreciation to everyone on your team – well done! I must say it was a fantastic workshop on Saturday, very well planned. I have been to quite a few magazine workshops but this was the most inspiring and realistic one. Once again well done to everyone and looking forward to the next one. Thanks to Top Billing for organizing a great day, it was very enjoyed by all! Very creatively inspiring, topped by a wonderful lunch! This is to confirm the delivery of my Wine Cooler this morning . I am thrilled with it and am sure I will really get a lot of use out of it. Just a word of thanks, my wife and I spent a super weekend at the Royal Marang….. I was so ecstatic as I was phoned a few days before my birthday and told that I had won a pair of Guess Sunglasses, so this was a perfect birthday gift for me. Furthermore, the fact that they are Guess brand is fantastic as I know these are excellent quality and good for my eyes. It is so nice to win something from Top Billing as it is truly my favourite show and I do not miss an episode for anything. Your show is so interesting that even my 2 teenage sons and husband are hooked on your show” Thank you Top Billing – YOU ARE GREAT!!! Numbness coupled with tons of excitement I am so not nervous, why? Some looking like they’ve just walked out of a magazine cover Oh now I begin to panic I don’t have a weave on Are they going to love my natural hair? The contestant has a lot of personality and style I look at mine…plain…Ouch! Waiting in the queue…I say my lines in my mind Before I know it…I’m next “Gcina…Hi, how are you?” I think that is what the judges said “Hi, I’m alright and you?” I think that was my response Can’t even remember if they responded to my greeting “So…what do you do?” they asked And I responded I look at the female judge So much warmth in her eyes Beaming with a smile that says….You can do it! What? No! Wait! I’m not ready yet…I say to myself silently. This dead silence in this room is awkward and the sound of my voice disturbs me…. I think and I ask myself… Why am I here? 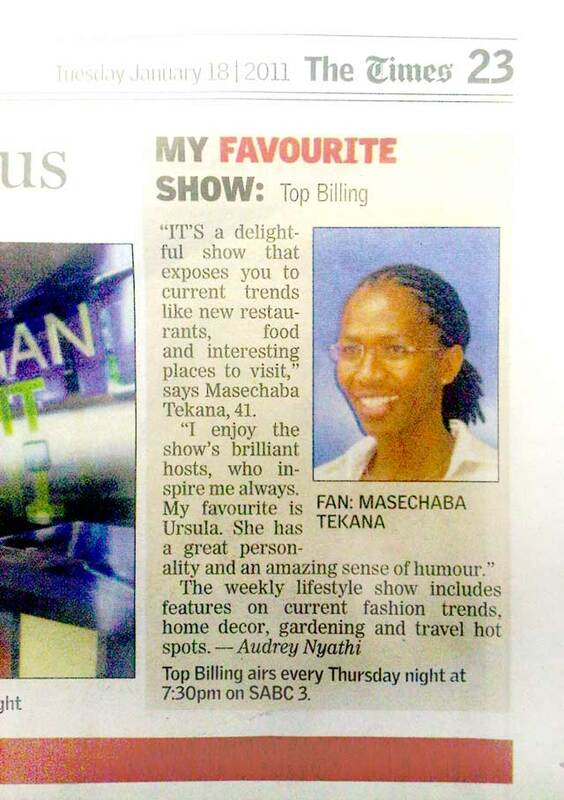 Thanks again Top Billing...I enjoyed it! Thank-you for such a wonderful oppotunity! I auditioned yesterday and I had a fantastic day! Unfortunetly I did not make it but I learnt so much, and I know where to improve. You guys have just instilled that burning desire in my soul to reach for the top, and I am so thankful. Ps. Jeannie D was wonderful, lovely lady and down to earth! 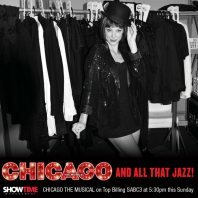 Meg and I watched Top Billing last night and we were delighted to be associated with both Top Billing and Heinz Winkler. What a tribute to him and his beautiful family! He provides an excellent role model to young people in South Africa and we wish him lots of success in his new ventures. Im Veronique Bailey aka Nicky. I love writing poetry. Ive written this poem for the show. Thanx. A Thursday night is the best night, because it means the weekend is in sight. And in front of my TV is where I want to be, Watching Top Billing on SABC 3. A show filled with great features. Whose hosts are like heavenly creatures. Not only are they beautiful in sight., but they know how to present things right. It’s no wonder Top Billing is such a delight. Taking u places near and far, To showcasing a brand new car. From the latest Hollywood premiere. 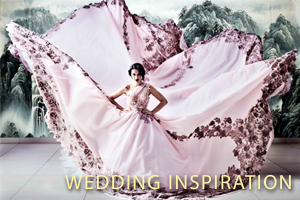 To the hottest weddings this year. From the finest cuisine. To the newest books you’ve seen. From the latest fashion and style. To the best interviews we’ve seen in a while. Now that’s what makes me smile. And they have awesome prizes to give away. So why not watch Top Billing every Thursday. Because if u didn’t already know. It’s the best magazine show. My husband and I thoroughly enjoyed the Inception movie, popcorn and drinks & especially the Top Billing magazine. Thank you very much to you and the Top Billing Crew for such a lovely evening out. The film is beautifully crafted and paced. An excellent work. I would like to thank the guys at Top Billing for a pleasant evening. I really enjoyed the snacks and the movie. Thanks again for the treat! Just want to thank Top Billing for the amazing preview. The best preview I have ever been to. Top Billing is the BEST!!! Dear Top Billing, just a note of thanks - the movie was absolutely awesome along with the lovely eats. WE WOULD LIKE TO THANK YOU & TOP BILLING FOR A "GREAT MOVIE NIGHT OUT" WITH OUR FRIENDS!!!! HERE'S TO HOPEFULLY GETTING MORE GREAT EVENINGS LIKE THIS ONE !!!!! Thanks for the tickets to inception! Really enjoy the movie, it was brlliant! 4 - please tell Aidan my friends and I think that he's 'tha bomb'! Thanks for a great show tonight. All my friends are talking about THAT dress! Fondest regards and well done again. I have been an avid Top Billing viewer since as long as I can remember, and this is really going back a good couple of years. I don’t normally make plans to sit down every Thursday night at 19:30 and switch on my TV, but every so often I manage to watch an episode, and every single time this happens I’m reminded of why I love your show. A warm feeling comes over me when I hear that all too familiar tune to your show and I immediately snuggle into my favourite chair and sit for an hour without any interruptions. It’s very rare that I feel the need to change channels because you are showing something that bores me. I am honestly so impressed with your show and that you have managed to keep it captivating for so many years. I absolutely love watching your presenters take me all over the world (slightly disappointed when I don’t win any of the trips myself) but enjoy them all the same. I love the enthusiasm your presenters show for the people they are interviewing and the stories they share and investigate. So I would just like to thank you for an amazing show and wishing you many more successful years!! Just dropping you a line, to first of all thank you soooo very much for our free tickets to the "Grease" extravaganza at the Arts scape on Saturday. What a show ,absolutely fantastic!!!! to say the least. We had a blast, from beginning to end dancing in our seats. The cast ,every single one of them deserved their standing ovation WELL DONE!!!! I am fan of your show and I do try my best to watch it every Thursday nights. What I am grateful for is the time you guys take to sent us emails every time to inform us on what will happen on the show, so even though I did not get a chance to watch it on TV, I will know what went down coz of your up to date emails you guys sent us. Wishing you the growth and wealth for the future of Top Billing, coz you are truly my best show in the world. I am so thrilled that I won the Sterling EQ CD. I went to see them at the recording of their DVD at the Artscape. What a fantastic Concert. I would just like to say a very big thank you for my prize and for sorting everything out so quickly and efficiently! I am loving my fantastic prize all thanks to my favourite TV show, Top Billing and Blackberry. Russ and I just wanted to thank you and Gunther for the fabulous 6 pages in the February Top Billing Mag. I hope Feb sales were high - they should be after I sent an sms to everyone in our phonebook to buy a copy!